The carbon cycle is a process that scientists have had a general understanding of for some time but has gained more interest due to climate change. The carbon cycle helps remove atmospheric carbon that would otherwise remain and contribute to global warming. However, what we have not been able to do, until recently, is better quantify the carbon cycle to a degree that allows us to assess how the carbon cycle is likely to affect the present environment, in particular with concerns of carbon affecting global climate change. While there is still a lot of uncertainty, we know have a clearer picture about the role of the carbon cycle in absorbing released carbon. 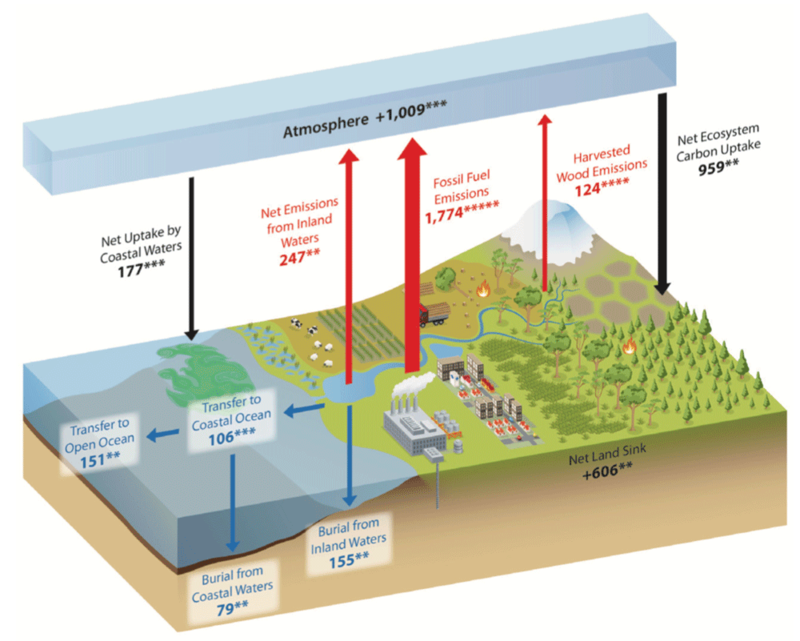 In November 2018, the United States Carbon Cycle Science Program released a report, entitled Second State of the Carbon Cycle Report (SOCCR-2), about the nature of the carbon cycle in North America, covering Canada, the United States, and Mexico. This is the second report on this topic and is the most comprehensive assessment of the carbon cycle, with the report consisting of 200 scientists’ input. The report highlights that the United States releases about 80-85% of North America’s carbon. However, positive trends include about a 1% reduction of carbon emissions over the last decade, thanks to new technologies and efficiencies in the burning of fossil fuels such as switching to natural gas for power. Overall, North America has made progress by reducing its fossil fuel release from 24% to 17% of the global total. North America’s ecosystem is also crucial in minimizing carbon release, as it is able to absorb at least 1/3 of the total carbon released each year. Other highlights include the fact that today’s carbon dioxide has increased by about 40% in the atmosphere since the industrial revolution, while methane has increased by 140%. Methane levels have also begun to level off, but damage is evident in places such as off the coast of Maine and Aleutian Islands, where the oceans there are acidifying. This has affected local ecosystems as they adapt to this new reality, meaning that the oceans can irrecoverably change in the coming years. Another major concern is that as the tundra thaws in Arctic regions, about a 5-15% release of carbon stored there could be release by the end of this century. Overall, despite the reduction evident over the last decade, the authors conclude not enough has been done to mitigate carbon release from avoiding large-scale economic and social hardship. More work is required but the authors discuss it is evident that carbon release is still far more substantial that what the Earth is able to absorb. In fact, the ecosystems, such as forests and grasslands, where carbon is absorbed are themselves threatened, which would release more carbon and diminish the Earth’s capacity to store carbon. Major Carbon Fluxes of North America. Source: USGCRP, 2018 – Adapted from Ciais et al., 2013, Figures 6.1 and 6.2; Copyright IPCC, used with permission. What makes the SOCCR-2 compelling is that it was reviewed through five full cycles by a rigorous process of inter-agency efforts. It highlights the challenges but also highlights positive developments, albeit the positive developments are not happening at a fast enough rate. There are a lot of uncertainties that make future prediction difficult. For one, current climatic change may impact future carbon uptake from our atmosphere. Ecosystem responses can be complex and are not understood to the degree where we would know how ecosystems could react based on current carbon changes. This is one factor highlighted in the report but has also been demonstrated in earlier publications as a key concern in studying the carbon cycle. It is not just plants that we can see that are critical to understanding the carbon cycle but also micro-organisms that can take up carbon such as protists. These creatures are neither plants nor animals; they are mostly single-cell organisms that have a variety of forms and functions. Their behavior is important for the absorption of carbon in the oceans and other aquatic environments; however, like our ecosystems, their behavior may also change as carbon levels vary. We simply do not know enough about these poorly studied creatures to know how they are likely to affect the carbon cycle in the future, although we now can see they are critical and do play an important role in the absorption of carbon. What we see from the recent SOCCR-2 report is that carbon continues to play an important role in contributing to climate change and the carbon cycle helps to mitigate this to an extent. 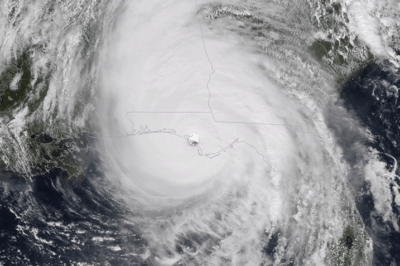 However, changes to the carbon cycle, which includes ecosystem changes, could limit the Earth’s ability to absorb carbon, which can exacerbate climate change. There is a lot of uncertainty in knowing how much carbon the Earth can absorb, but we can see based on current rates and knowledge that North America has made some progress in reducing its carbon footprint. This, however, is not enough and still far more than what the carbon cycle can consume. For more on the SOCCR2 report, see: https://www.carboncyclescience.us/state-carbon-cycle-report-soccr. For more on changes to the carbon cycle due to climatic change and ecosystem change, see: Frank, D., Reichstein, M., Bahn, M., Thonicke, K., Frank, D., Mahecha, M. D., … Zscheischler, J. (2015). Effects of climate extremes on the terrestrial carbon cycle: concepts, processes and potential future impacts. Global Change Biology,21(8), 2861–2880. https://doi.org/10.1111/gcb.12916. For more on the role of protists on the carbon cycle, see: Worden, A. Z., Follows, M. J., Giovannoni, S. J., Wilken, S., Zimmerman, A. E., & Keeling, P. J. (2015). Rethinking the marine carbon cycle: Factoring in the multifarious lifestyles of microbes. Science, 347(6223), 1257594–1257594. https://doi.org/10.1126/science.1257594.